Computer table which can accomodate, CPU, Monitor, Keyboard, Mouse, Printer with Storage Drawer & enough space to keeps books and manuals. We manufacture premium quality Computer Furniture that allow comfortable positioning and frequent repositioning of monitor, keyboard, mouse which enhances productivity and promotes healthy keyboarding. Computer chairs are also available in various designs. 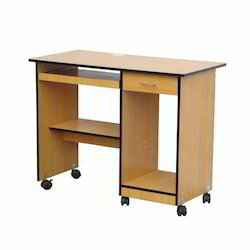 With 100% dedication and enthusiasm, our company has been highly engaged in offering with a best class range of College Computer Lab Desk. We are offering high quality Computer Tables to our most reliable customers which are situated all round the nation. Our range of computer tables are as per the latest trends and styles, which is not only pleasing to the eye, but also stands high on quality. Designed to provide comfortable working , the range of furniture is available in different sizes and designs. 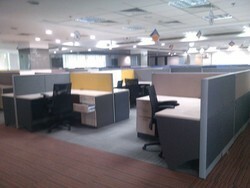 These Computer Furniture are made from high quality of raw material which ensure durability at its user end. These product are available in market at competitive rates.